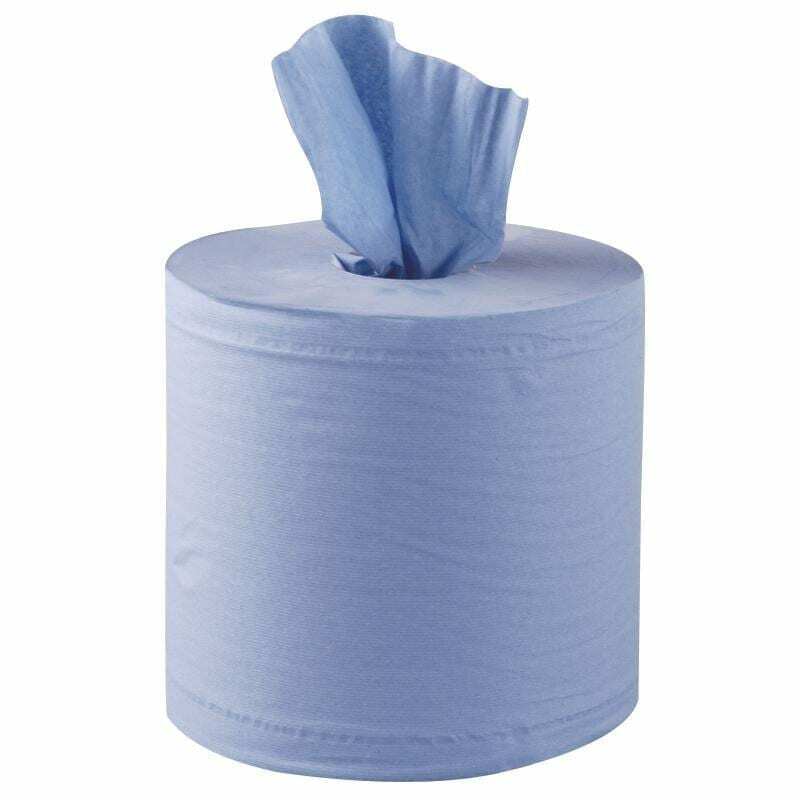 Blue Centrefeed Roll Paper Towel – Our BEST SELLING PRODUCT. Centrefeed wiper rolls 2ply Blue 150m. Contract manufactured to offer very competitive prices on single case, pallet and mixed pallet orders. Pallet and container deals also available. Designed for wiping up spillages around the kitchen or workplace our centrefeed 2ply blue is fit for purpose in so many everyday tasks. For simply wiping work surfaces to blowing your nose on those cold wintery days, even drying your hands in the washroom. With our 2ply blue centrefeed at full spec 150m you get great value for money. Don’t forget to ask your supplier what meterage you are buying as we’re sure to be more competitive! !